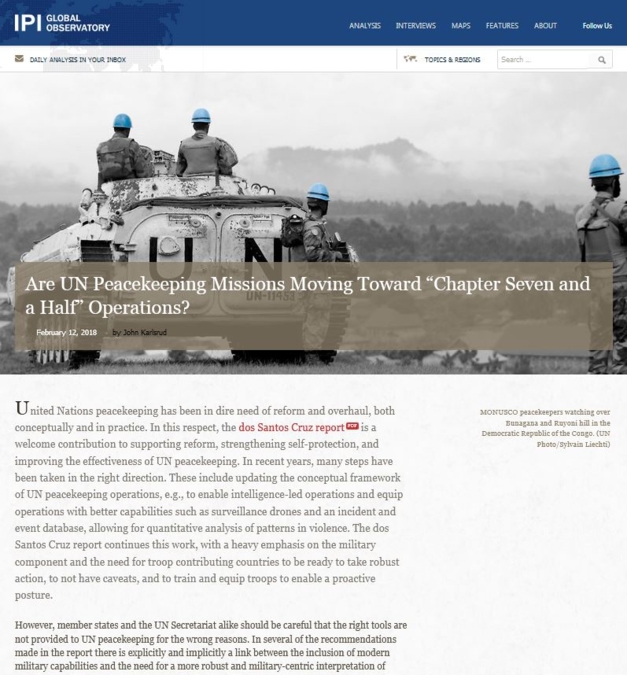 Are UN Peacekeeping Missions Moving Toward "Chapter Seven and a Half Operations"? The combined effect of the inclusion of regional ad hoc coalitions with a strong orientation towards counter-insurgency and counterterrorism is the creation of a new type of “Chapter Seven and a Half” operations. Enforcement action is delegated to regional ad hoc coalitions that have a stronger interest in the conflict and who are more willing to put troops in the line of fire. However, such a development risks undermining the legitimacy of the UN, increasing attacks against peacekeeping operations as well as other parts of the UN, and eroding its role in the mediation and humanitarian domains.